At Scott's of Wisconsin, we have really outdone ourselves this time. In our attempt to create More to Love we've developed Fudge Cheese. This may be the best thing that's ever happened to cheese. Imagine the smooth and creamy texture of Scott's Wisconsin cheeses that you love. 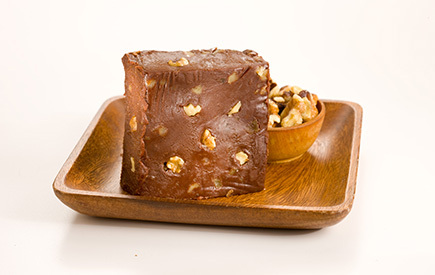 Now imagine that texture with a rich, chocolaty fudge flavor. Try a pretzel with our Fudge Cheese and you'll experience salty sweet snack perfection.